Working as a dispatcher in Touch’s Mobilizing Maternal Health program, Restituta helps women in labor reach emergency care. Restituta Mabilla Limbe is a determined 34-year-old woman who always dreamed of helping women and young girls in her community. Growing up in Sengerema, a rural town in north-west Tanzania, Restituta noticed a pattern of inequality between the women and men in her community. In spite of having four siblings, she was the only child expected to work, because she was the only woman. Her younger brothers were free to do as they pleased, while she and her mother carried all of the family’s responsibilities. To Restituta, women unjustly had more difficult lives since traditional norms required them to work hard day and night. Inspired by the inequality she witnessed as a child, she dreamed of a way to help other women in her community. Her dream had to be put on hold due to her family’s lack of finances at the time she was enrolling in University, a rare accomplishment for Tanzanian women. Restituta was obligated to study Information Technology because it was the only course she could receive funding to complete. After several years of studying and then working as a graphic designer in another part of the country, Restituta moved back to Sengerema to be closer to her family. One day, she saw an advertisement for an open dispatcher position as part of Touch Foundation’s Mobilizing Maternal Health program. Holding the flier in her hand, Restituta felt certain this position would allow her to realize her dream of helping women. Today, Restituta is the top dispatcher at Sengerema District Hospital. 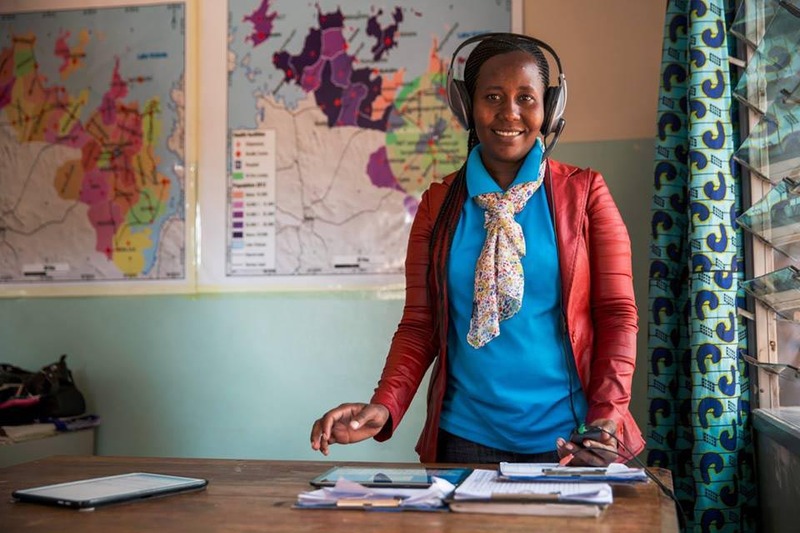 Her typical day at the referral center, which is open 24/7, involves taking calls and arranging emergency transport via a mobile application for pregnant women and newborns so women can safely deliver at health facilities in the care of skilled providers. She has even earned the position of Team Leader because of her hard work and commitment leading her peer dispatchers. However, this is not Restituta’s only role. She is also the mother of two young boys, a four year old and one year old. With the support of her mother, Restituta is able to leave her children at home and go into work every day to save mothers and newborns. Restituta’s job is often challenging due to cultural barriers. Traditionally women in Tanzania are accustomed to delivering in their own homes. With nearly half of all Tanzanian women giving birth at home without the care of a skilled healthcare worker, there is a high risk of birth complications. One of Restituta’s greatest challenges is convincing family members that their loved one is in grave danger and needs to be transported to the hospital immediately. Through Touch’s Mobilizing Maternal Health program, Restituta has been a key player in reducing maternal mortality by 27% in her community. Restituta has achieved her dream of helping women in her community, but her work is far from finished. Her interest in the health field has grown immensely and she hopes to return to school and earn her nursing degree in order to continue helping vulnerable women and young girls.